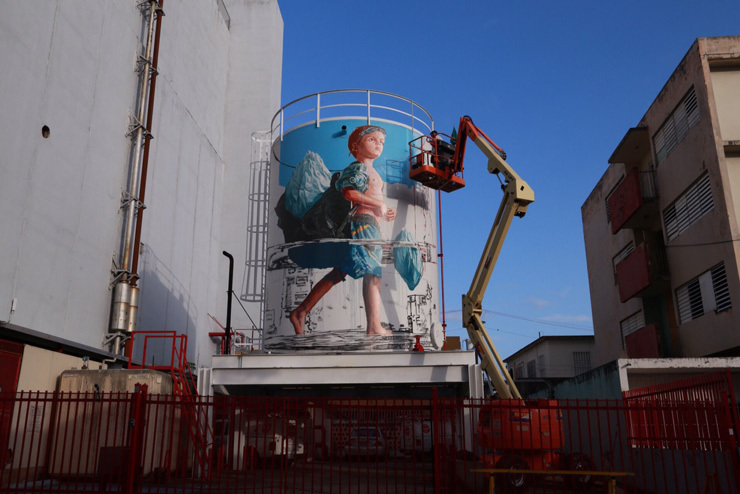 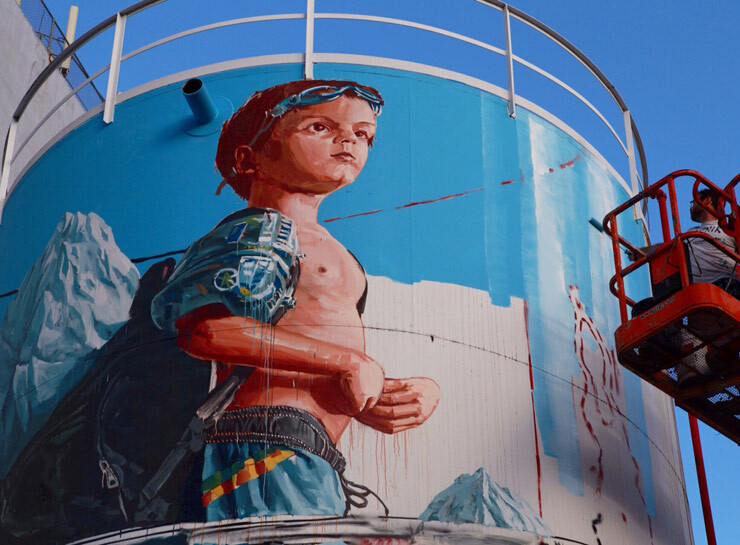 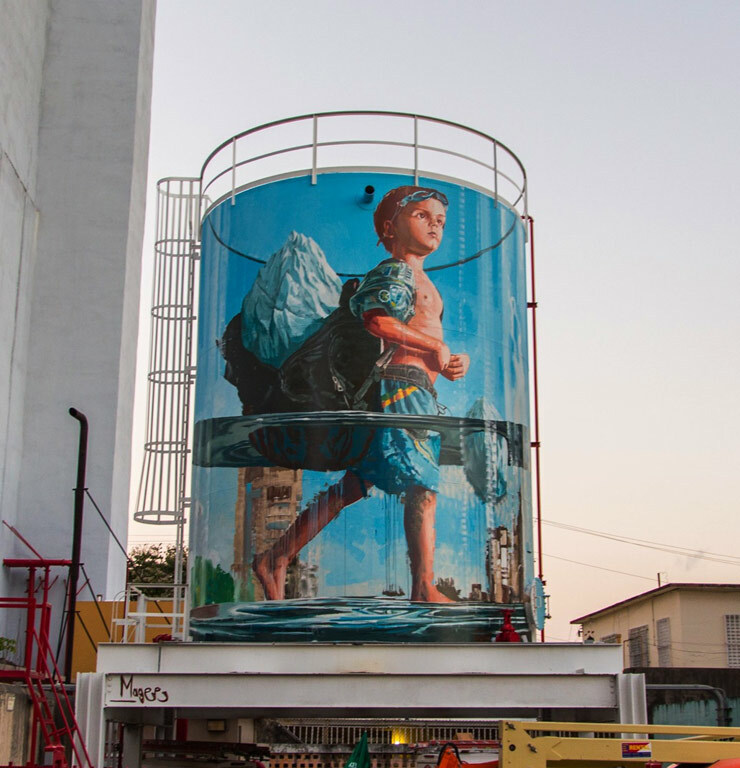 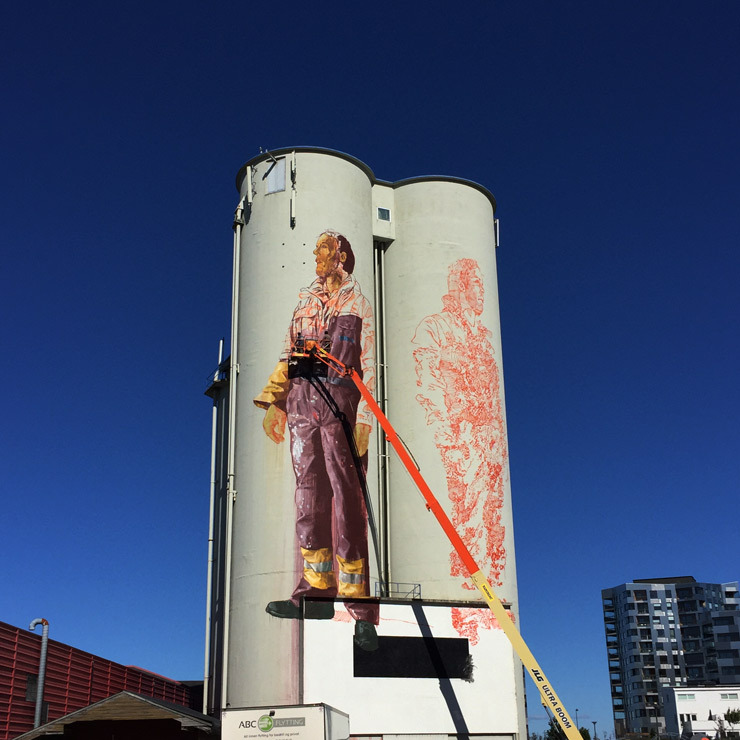 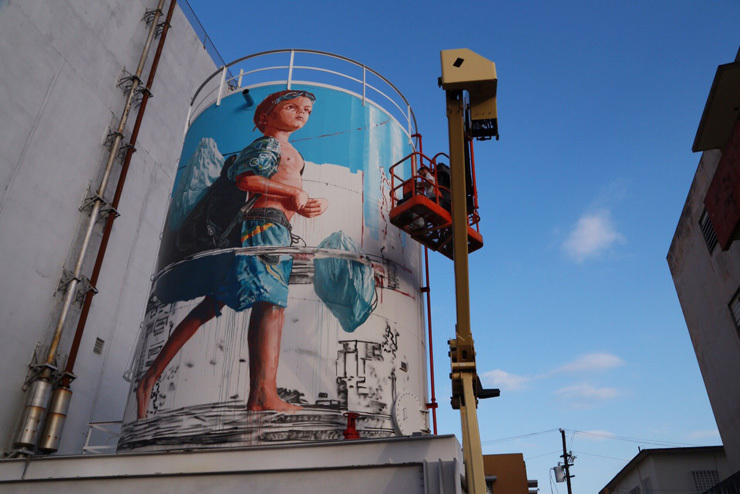 Fintan Magee chose this water tower shape to feature a local San Juan boy carrying an iceberg – while the water levels rise and flood his world. 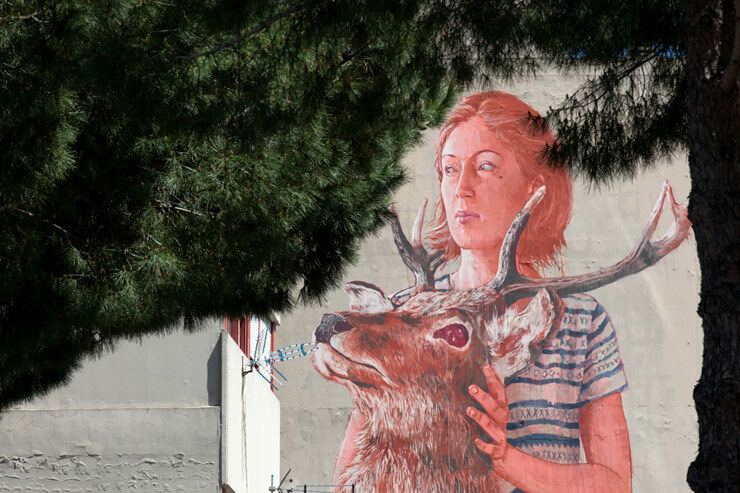 Perhaps he is remarking on the fact that we are burdening the next generation of people with a host of ecological disasters to carry on their backs. 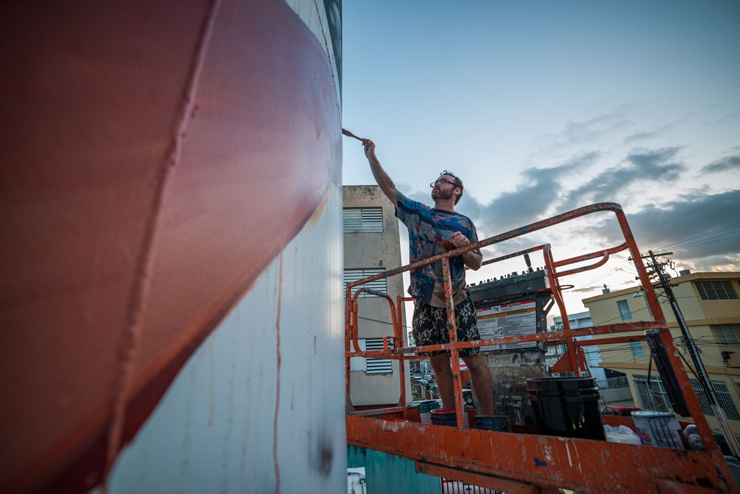 The Australian artist has been merging his graffiti practice and studio practice on the streets in large murals in recent years and often he uses the opportunity to speak to social and environmental ills, many on a global scale.